Tucked in the Southern part of Spain where you can see Gibraltar and the Mountains of Northern Africa on a clear day, is a little village called Mijas. Here, you can walk the cobblestone one-way streets and shop the authentic Spanish shops and sip the best Spanish wine all within about a 3 mile loop. The whitewashed buildings are only accented by the blue pots hanging from the sides of the walls as if they were holding on to the very tapestry from which they were born. A gentle warrior by the name of Andrew Shearman looked for a place to establish and call G42 home. After hearing Holy Spirit through a clear sign, G42 was birthed in the mountain pueblo of Mijas, Spain. His vision was to raise up a generation of believers and passionate lovers of Jesus who could be “God with skin on.” The students go through a three month intense “unraveling” of themselves, live in tight knit communities with others, and hear world class teachers that share their passions with Andrew and the rest of the staff. After their first three months, they are then sent on a “practicum” which means they leave the small village and go to another country to “practice” and apply what they have learned. While in these other locations, they learn what it is like to live in missional community. They then return to the school to spend their last three months, almost by divine coordination, to help refine and teach the incoming students the culture of G42 and share more in the teachings that are offered. This allows for perpetual confluence of new and experienced people colliding at the same time. The students that attend the school have mostly come from The World Race. It’s a mission trip unlike any other. They go to 11 nations in 11 months. They experience the nations through a lens that has changed their lives. I say this to let you know that G42 is comprised of young people about or around their mid to late 20’s, that have seen the world, literally, and now are wanting to take the next steps to “fleshing out” what they have seen and heard. I had the distinct privilege of teaching at G42 this past week. I came with a melting pot of ideas and expectations of what to teach, and how to present what I had to offer. As a speaker, I wanted to build on succinct topics that were Spirit filled and practical at the same time. I knew that they had heard from the some of the best teachers on subjects like, Victorious Eschatology, Old and New Covenant, Creative Worship, and many others. Teresa and I snuck into a class a bit early on one of the classes. We were met with curious eyes and warm smiles. I felt right at home when I sunk into a well worn leather couch with over sized pillows. For a moment I am sure my eyes closed and I drifted away with the sound of the teacher ringing in the room. I wasn’t going to start teaching until the next Monday (this was on a Wednesday the prior week) and already I was getting the speaker jitters. In my mind I knew what I wanted to bring. But then something shifted. I decided to put aside my agenda and ask Holy Spirit what he wanted. This is always a good place to start. He told me that he was going to let me know and it mixed perfectly with what I wanted to share. It was now Saturday night and I was invited to go and watch FC Madrid take on Liverpool for a big soccer game. It was amazing. Andrew has set out some cheese and meats, (a Spanish staple) wine, and the best spirit of fellowship. We cheered and talked through the night, which for me ended with a wee dram of “covenant scotch” Laphroaig. Andrew raised the glass and toasted the community of believers that we get to impact. A kiss and a hug sealed the deal for me as I knew that I had met a man that had given his life and heart to the kingdom. My Monday began with brief introductions of my life and family. I spoke on the scripture “perhaps God” that really propelled Teresa and I to start a church in Colorado. The week was off to a great start. I was getting to know names and the places from which all the students had come. The surprising thing about teaching with this caliber of people is not only all that I got to give, but also, all that I was able to receive. We would meet for lunch for one on one’s and I would just ask them, “What’s your story?” I am in constant amazement of what you can learn when you learn to listen. I loved to listen to their stories and the places they had been. I spoke with people that had worked with top firms in places like New York and Hawaii, but felt that urge to go into the nations. I shared stories with people that had multiple degrees, and yet still felt empty in their souls. My days at G42 would usually end with a great meal and of course a Spanish wine. 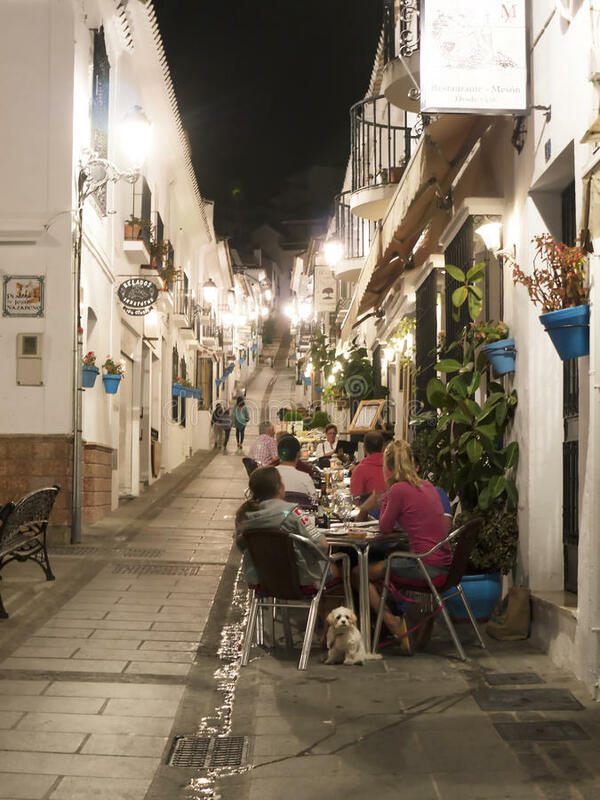 The ambiance of Mijas in the evening is just as magical, if not more so, than in the daylight. Conversations around my friends table overlooking the Mediterranean provided a great place to share and download the day. I taught, but I was transformed. I came, yet I was changed. I met, yet I was greeted as family. I was expectant, but my expectations were exceeded. Dear G42ers. Thank you for receiving what Holy Spirit wanted to download to us this past week. I was changed as I hope you were. I wanted to leave you with not more information, but rather impartation . I trust your week was as alive as mine. Thank you for your hearts, your stories, and your unconditional love…I can’t wait to see you again.